Check-out this new Shuriken Sentai Ninninger VS Ressha Sentai ToQger The Movie: Ninjas In Wonderland magazine scans featuring the Zyuohgers! Just like in the past Super Sentai VS Super Sentai movies, when more trouble arises and the previous teams are in need of help, the newest Super Sentai team will be there to help and this time, here comes the team of Dobutsu Sentai Zyuohger! 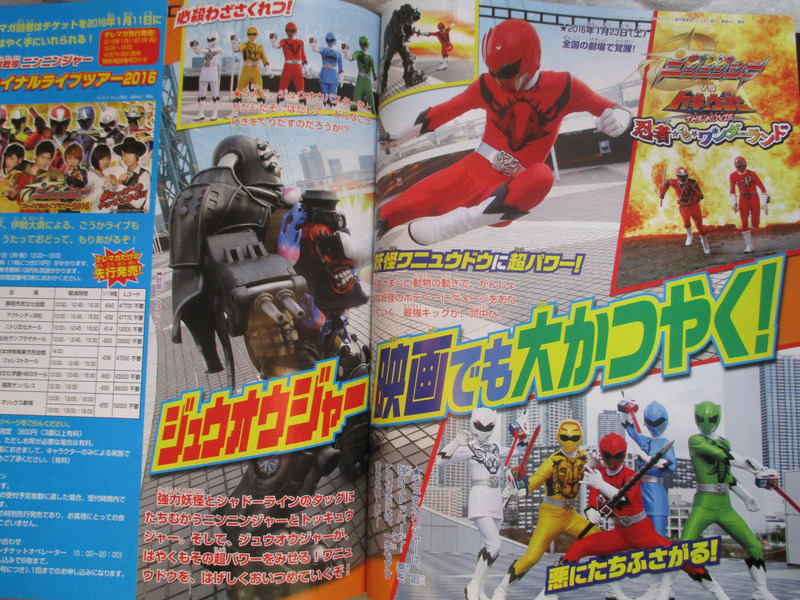 Just one thing, the name of the movie is not Shuriken Sentai Ninninger VS Ressha Sentai ToQger. 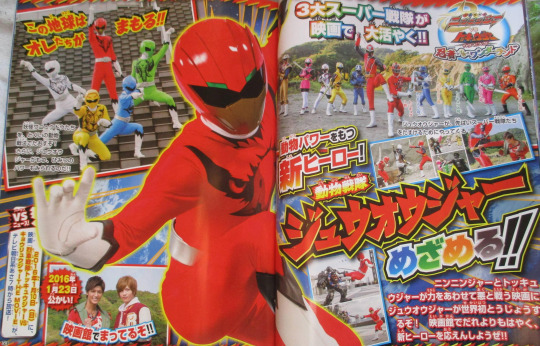 It's just Shuriken Sentai Ninninger VS ToQger. Toqger doesn't carry the whole name.